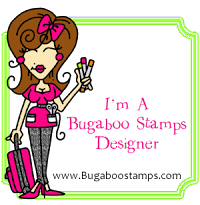 Today at the Bugaboo blog- Catch the Bug, we are posting 'Oldies but Goodies' images on our cards. 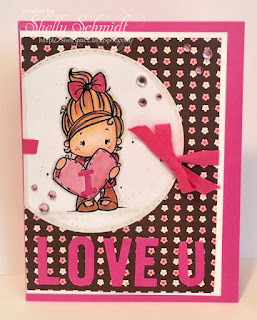 I love this SU (retired) DSP, and decided to go with pink for the card. This image is called Kidz Bella Heart. The die is Memory Box stitched Circles. I added some older SU pink ribbon. I used a Memory Box die for the Love sentiment, and cut a second set of LO letters- the letter L was cut into the I, and the letter O was cut into the U. The sweet image was colored with Copic markers. Rhinestones in Pink were added for accent. 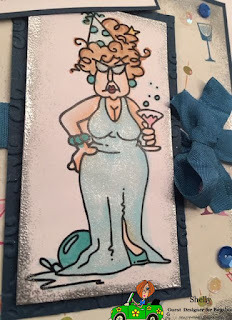 I used an ATC and added it to my card. 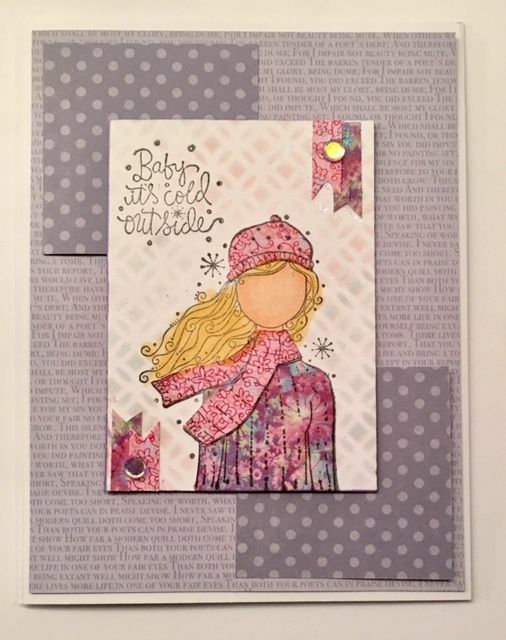 The ATC is a Unity stamp called Cold Outside. I paper Pieced the top and the scarf using Basic Grey DP, and added SU DSP on the background and the upper and lower layer (with polkadots). The sequins are Unity. There is stenciling on the background of the ATC using distress inks. And, this is going to be a darn cold week in the Midwest. I am hoping for a nice week of stamping! We'll see.....! The CYS group can be located here. List mom Barb had the brilliant idea- lets use our stash items- with a monthly theme, I am sure finding no shortage of items to use in my creative space for this challenge...!!! Even those in the 'get rid of ' pile....... 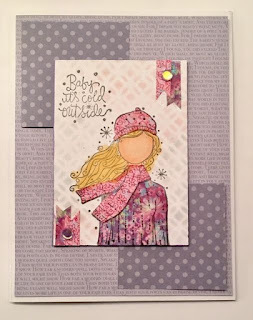 HERE is a link to all of the January 19 Cards at Splitcoaststampers for this challenge. 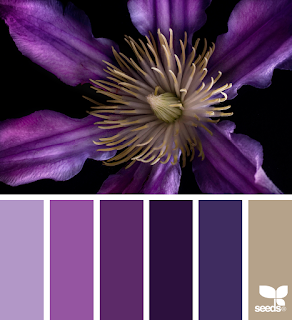 Bugaboo has a beautiful color challenge today- you have a week to join in! The challenge is at the Catch the Bug blog HERE. 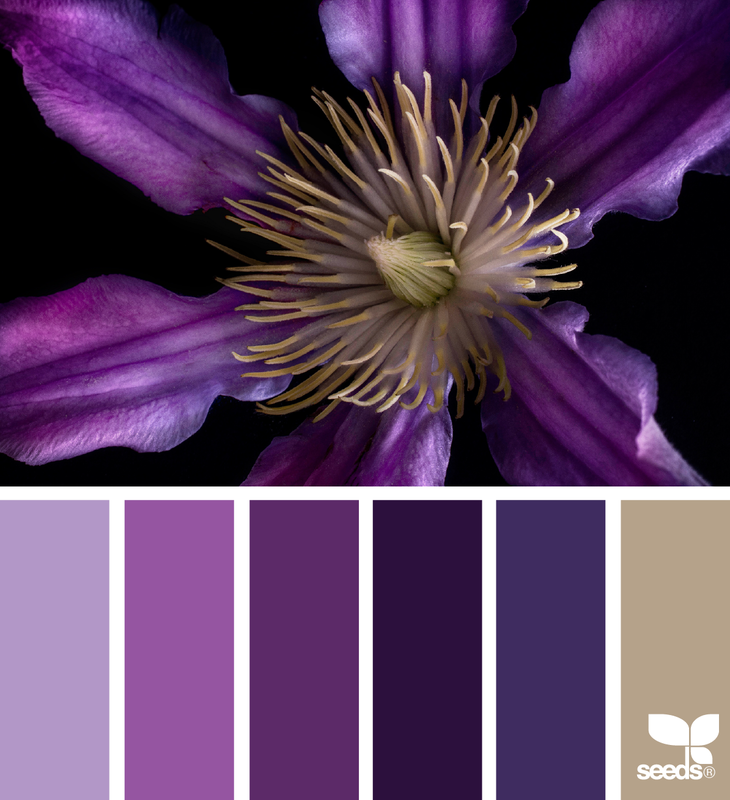 Not too hard to get out of the Winter Blues with these colors- they made me think of flowers : ) Unfortunately, I needed to make a Sympathy card this week.... 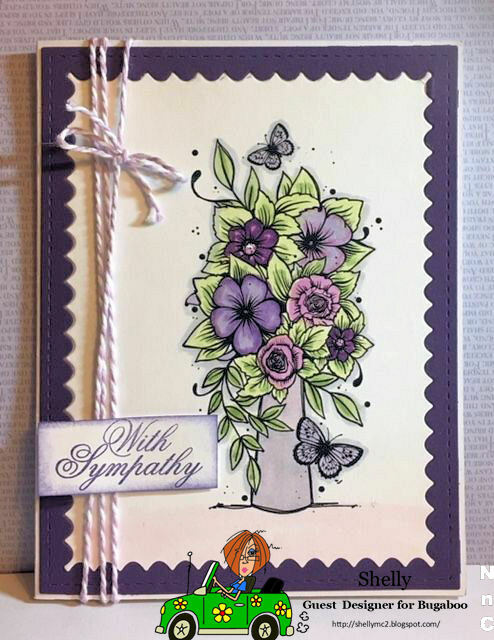 I used this lovely Digi stamp from Bugaboo called Flower-Butterfly-Vase. I colored it with Copics in assorted purples. 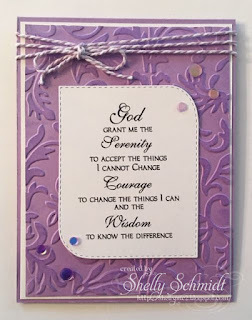 The Sentiment is from a (retired )set from SweetnSassy Stamps. The die I used is from Gina Marie. 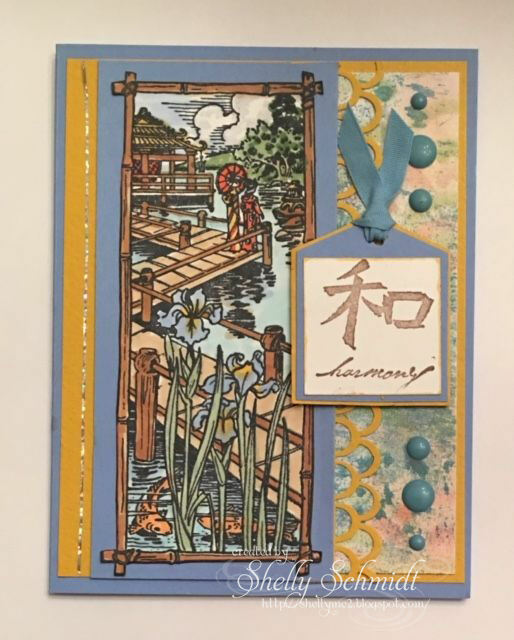 Still catching up- almost there : ) This was the December sketch card for the AOSA (About Oriental Stamp Art ) Yahoo group. I went to town on using your older stuff! Which I, clearing throat, have an ample supply of........ 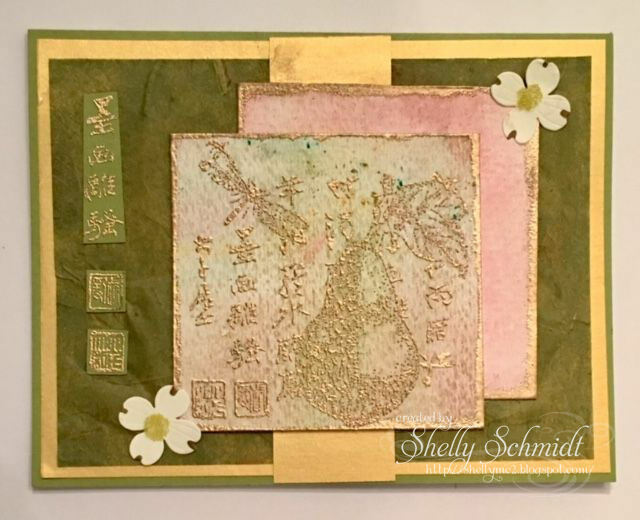 I used my stamping platform and stamped and embossed this Inkadinkado image on a textured cardstock, layered it over a distressed cardstock that was roughed up and edged with Versamark and Gold EP also added. I used Ranger Queens Gold EP on both layers. 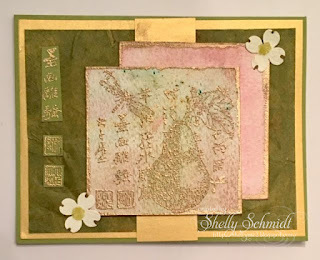 I added a layer of green Mulberry Paper, I have a bit of it, for the background. It has veins running through it so adds more texture. I stamped and embossed the Kanji from the stamp and trimmed it out for the final sketch requirement. I added some Prima flowers with Unity sequins in the centers. The cardstock I used is So Saffron and Wild Wasabi. PS- if you played in the Bugaboo Birthday Bash, hop on over to Catch the Bug challenge blog- the winners have been posted!!! 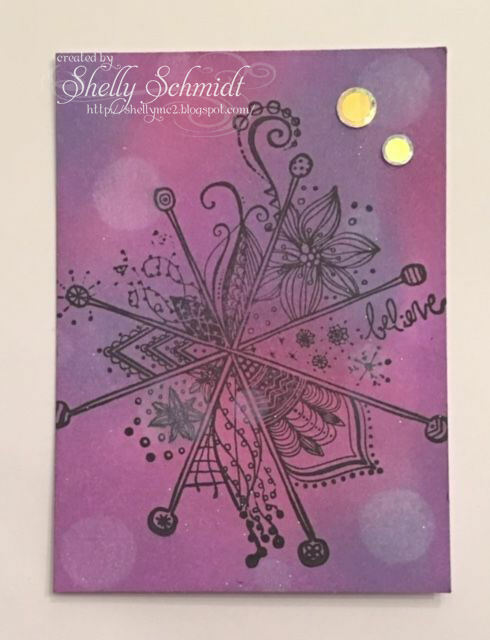 For this stamp, I sponged distress inks in 3 colors onto white cardstock, then added the white 'Bokeh' dots at the end. I added Unity sequins- they are purple IRL for an accent. I love this Zentangle type image- so fun! 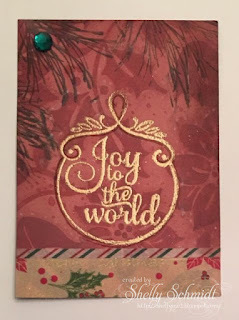 Next, I stamped and embossed on DP with poinsettias on it. I added the whisps of greenery with a stamp that I colored on with Distress markers. I added Washi tape at the bottom for a border. Well, it's the end of the week at the Bugaboo Birthday Bash party. The challenge is at the Catch the Bug challenge blog. We are using the photo below for inspiration : ) It is also Freebie Friday in the Bugaboo store. I used the picture inspiration for picking my DP . The sentiment is from the Bugaboo set The Candles set. The image is colored with Copic markers. I got out some old old old SU twine that seemed to be perfect for the colors. 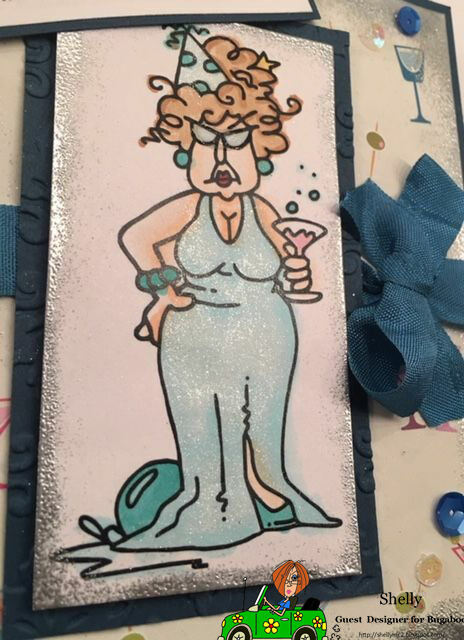 A few added sequins to finish off the card. Not my usual colors, But it turned out fun! I made a background of Washi tape. 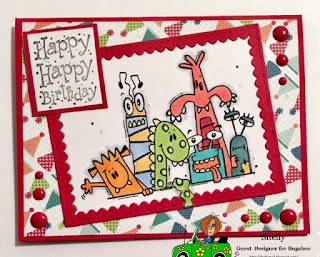 The monster image is from the Bugaboo set Mini set- Monster Blocks. I used Copics to color in the image. The ribbon and twine are from my stash. The tags are from the same set- stitched tags. 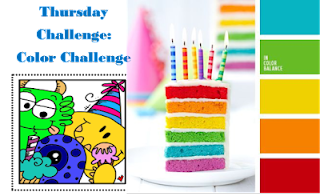 You have until Sunday to enter the challenges for the Birthday Bash over at the Catch the Bug Challenge Blog- hope to see you there!!! 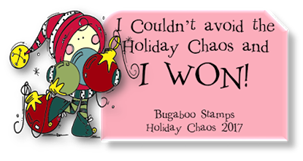 I have 2 blog posts today- for the Bugaboo Birthday Bash New Release post, see the next post. 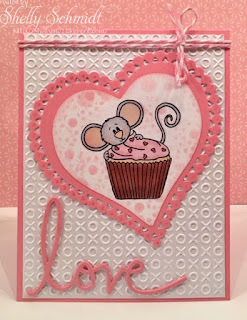 The Tuesday Throwdown challenge for the next two weeks is Embossing. Our sponsor is DRS. We were able to choose our images, and I chose the Serenity Prayer image. 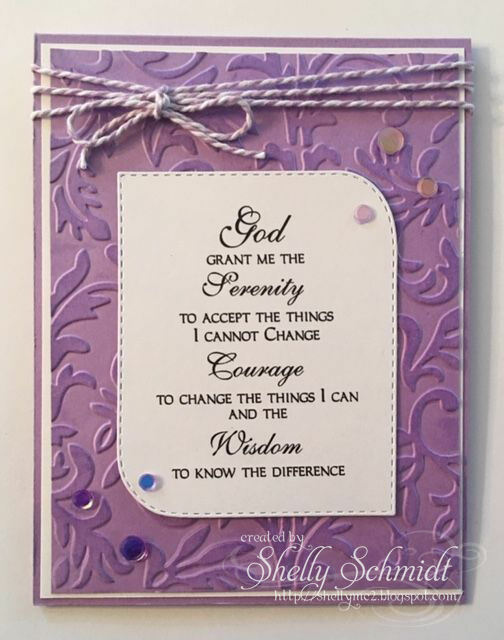 I embossed the background of this Lavender Lace cardstock and highlighted it with Lavender Lace ink. 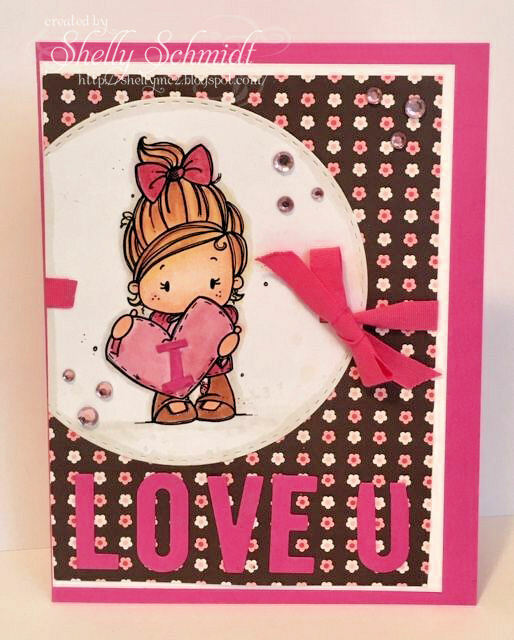 The image was die cut and placed over the embossing. The sequins are purple and are by Unity Stamps. The twine was added as a finishing touch. Stop by the Tuesday Throwdown blog and see the other beautiful cards by the team using DRS designs! For the New Release at Bugaboo, something fun this week- there will be a flash New Release and a regular new release- see the Store for details! I made a card with each of them using the Bingo challenge board for today!!! 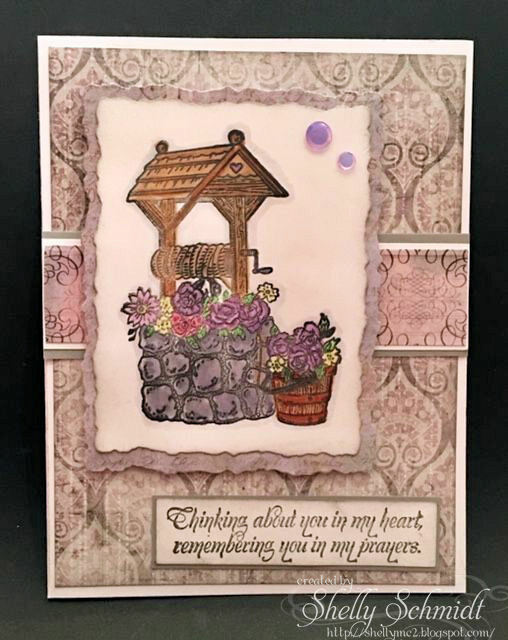 The Bingo row I used is :Die Cut-Gem-ribbon I used a die that I am not sure where it is from..... the background is from a spellbinders die. The DP is very old Basic Grey. I used enamel dots for my gems, and twine for my ribbon. I am unsure of where the sentiment is from- I found it in my old flash drive file. 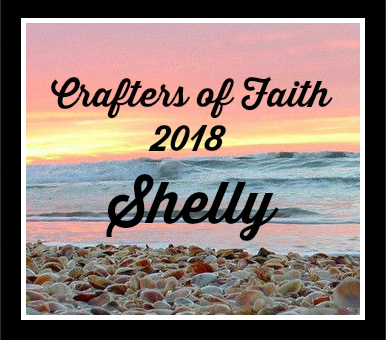 Next, I created for the 2nd New Release. The Bingo row I used is: Die Cut- Free-Stripes The party hats are in stripes across the page. I chose colors from the hats. I used Gina K red cardstock. The Die is Gina Marie. 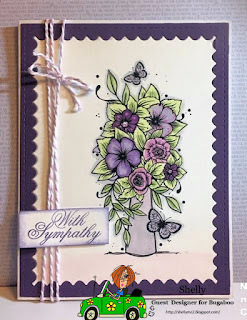 The Sentiment is very old- Stampin Up. I added enamel dots to all of the corners. Fun images to create with- I hope you will join us at the Catch the Bug challenge blog for the Birthday Bash- some great prizes to be won! Today, is Day 3 of the Bugaboo 9th Annual Birthday Bash! It is a Monster-ous party and we hope you will join in! 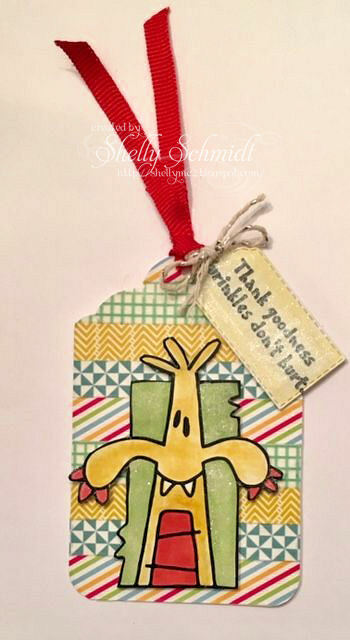 I made a tag for the Anything but a Card challenge. 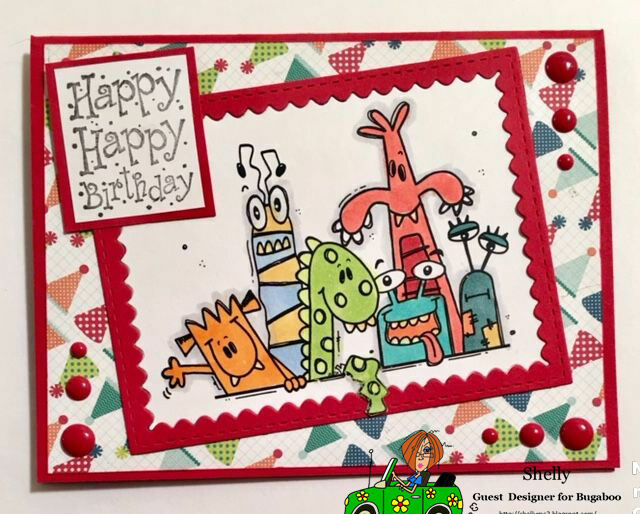 I used some Washi tape from my stash for the background, and then colored the monsters which are fussy cut out. 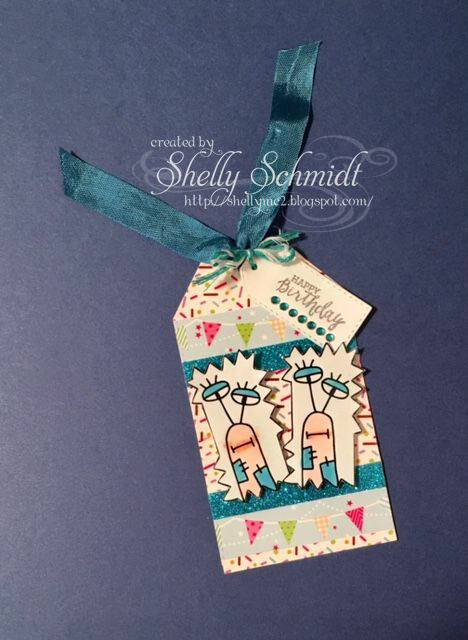 The tag dies are generic and the sentiment is Stampin Up as is the blue ribbon. I love these fun images in this set of Monsters! The set is called: Mini Set-Monster Blocks . 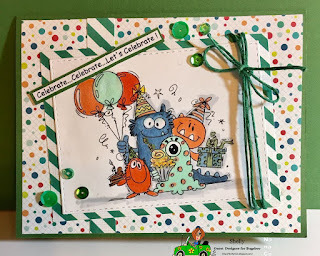 While I was unable to create a card for Sketch Sunday, I wanted to post the Sketch here for anyone wanting to join in the challenge over at Bugaboo's Birthday Bash! 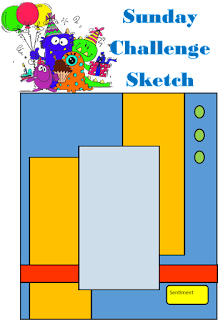 Also, please note that ALL of the challenges are listed on the challenge Blog Home page HERE. Wahoo! 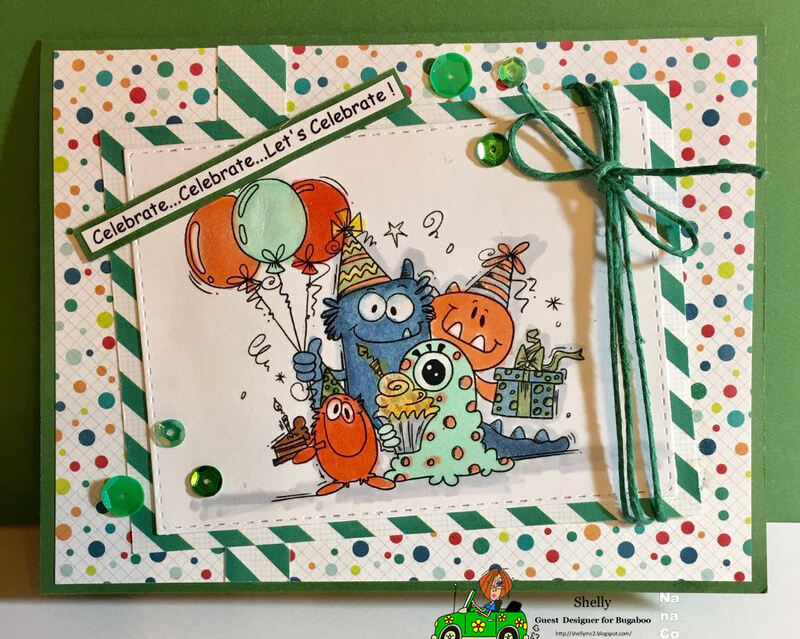 Bugaboo is celebrating it's 9th Birthday! There is some monstrous fun this week- hope you can join in! 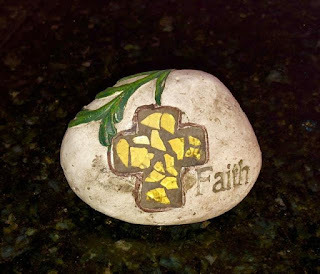 The freebie yesterday was on theme to get you started! 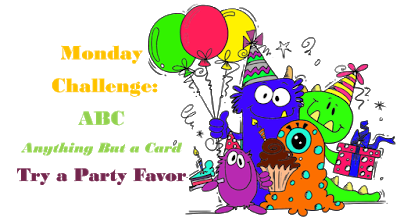 The challenge for day 1 is a theme: Monster Party! 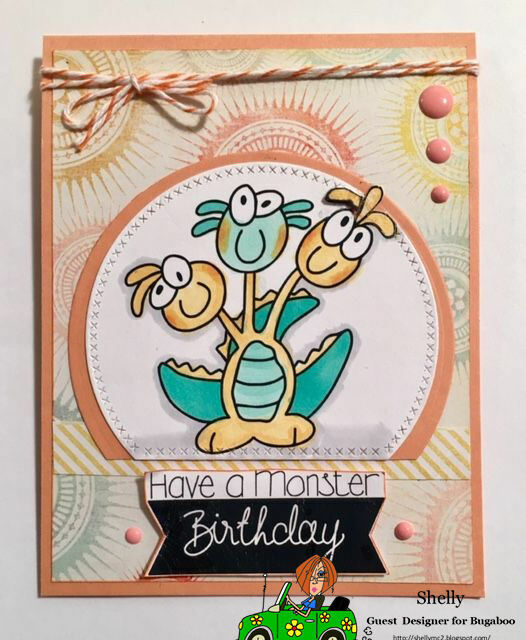 I used the Mini Set- monster blocks which contains a number of monster images. I pulled out a die set MFT Blueprints 26 plus some misc balloon dies and cut out balloons and text. The image was colored with Copics. DSP is from the stash. 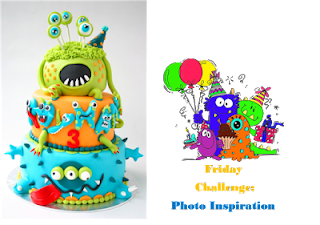 Come join us for some monstrous Birthday fun!!! 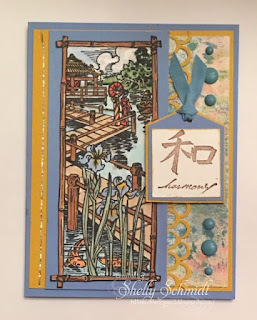 I joined a landscape mingle held in the AOSA (About Oriental Stamp Art) Yahoo group. This image package states it is Japanese Garden, but it reminds me of the Yu'an Gardens in Shanghai. 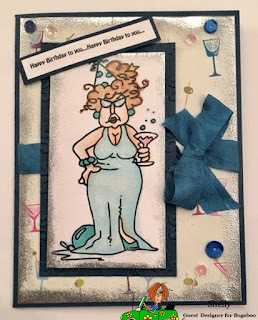 I wanted to share a card for the Anything Goes challenge that starts today at the Catch the Bug Challenge blog- for Bugaboo! I took a side shot to hopefully show off the shimmer : ) The image was colored with Copics and the shimmer is Wink of Stella. I sponged Versamark around the edges and dipped them in silver EP to add a metallic layer without adding more cardstock. There is also Crystal Effects on her eyeglasses.